Patrick Gregory worked for nearly 30 years as a journalist and news editor with the BBC in London and Glasgow, latterly as Managing Editor of the BBC’s Political Programmes department. He has also produced history and politics documentaries for BBC Radio 4 and BBC World Service and has lectured in the practice of parliamentary journalism in the Asia-Pacific region. In addition to his work on An American on the Western Front he set up the www.padraicgregory.com website to rediscover the Ulster-Scots poetry of his grandfather Padraic Gregory, contributing to the publication in 2013 of the centenary edition Padraic Gregory: Complete Ballads. He lives in London with his wife and family. Elizabeth Nurser is the niece of Arthur Clifford Kimber. She came to Britain from her native United States as a Fulbright scholar in 1955 to work on her history PhD at Newnham College, Cambridge under the 17th century history specialist Brian Wormald. 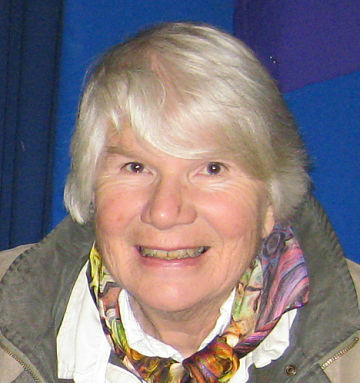 Raising her family in Britain and Australia, Elizabeth combined her academic background with publishing, working as a copy editor for Cambridge University Press and as an editor with both Melbourne University Press and Faber & Faber before establishing her own desktop publishing business in the UK, specialising in local history. She is the co-editor, with J.A. La Nauze, of Walter Murdoch and Alfred Deakin on Books and Men : letters and comments, 1900-1918. She lives in Suffolk with her husband Canon John Nurser, himself an historian.